Excellent acting and well written. One of those shows that you can't wait until the next episode and even more credible than "24" which, I have to say, this past year got a little out there. It's great and well worth your time. 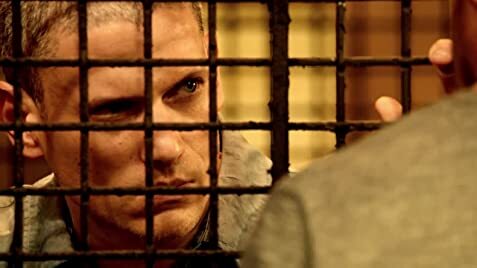 Wentworth Miller brings a stoic dignity to the role, earnest and steadfast. Dominic Purcell is wonderful as his brother on the cusp of needing to believe his brother will help him. Peter Stormare is creepy as only he can be. And Stacy Keech is refreshing as an atypically concerned prison warden. Nick Santora and Paul Scheuring's writing is spot on and intriguing, leaving you wishing that this was a novel so that the pages could be turned faster. I would encourage any who have the fortitude to watch this show. Pure gold. Although the show was confirmed for a season 6, no release date or cast has been announced. Paul said that, although he wants the show to continue, he doesn't want to bring it back till they have a good storyline. Since there is no rush for the series to return, we might not see the show again for a few years. Dr. Marvin Gudat: I can promise you nothing. Theodore "T-Bag" Bagwell: Story of my life. Lincoln is often seen speaking with Michael in the yard or on a work detail. In reality, Death Row inmates, RARELY leave their cells, are not given work details, and never interact with General Population.